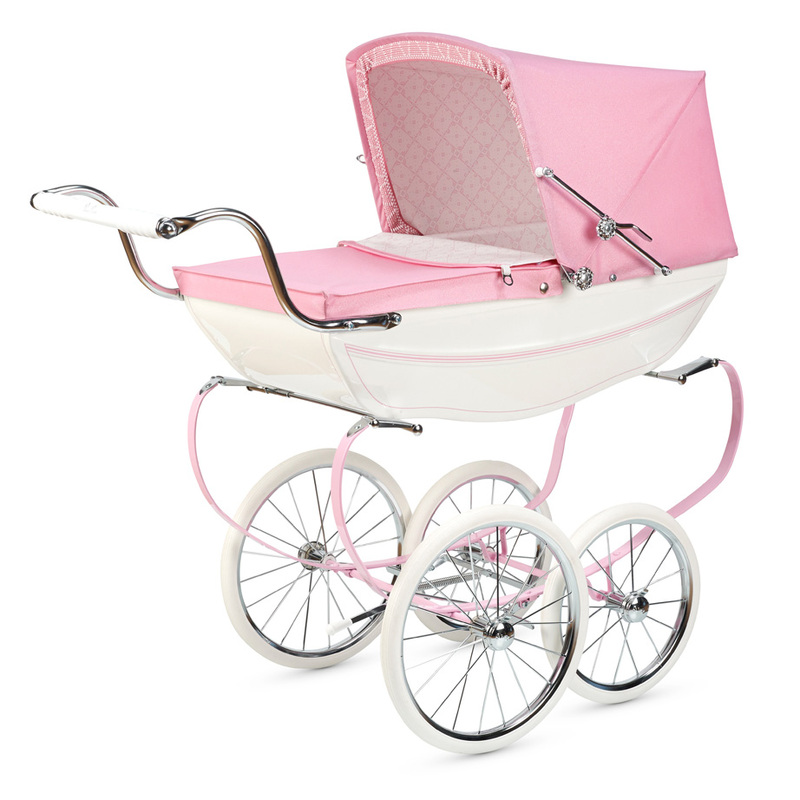 Princess is a gorgeous sparkling pink and white children's toy pram. Handmade in Yorkshire, England, every single one of our exquisite dolls prams is handmade to the same exacting standards we have employed for generations. These special edition prams come with a selection of extras and are strictly limited in production, making them extra special for your little princess. 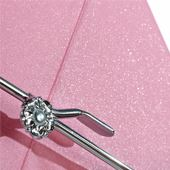 The gorgeous special edition fabric is finished in a stunning sparkling pink colour. The hood also features beautiful hand-stitched detailing. Stunning Silver Cross patterned lining contrasts beautifully to the high sheen fabric of the doll's pram outer. 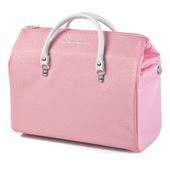 A beautiful matching changing bag is also included in the same shimmering pink fabric. 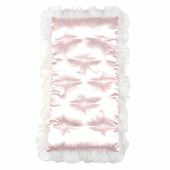 The pink Princess satin darted cushion has a lovely organza trim. 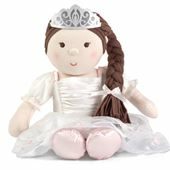 Perfect for your Princess rag doll to sit upon. The body comes in a highly polished white sparkling metallic finish with a gorgeous trademark pink line detail to contrast the sparkling metallic white body. Your beautiful Princess dolls pram also comes with a certificate of authenticity.